And thou shalt love ADONAI Eloheicha b'chol l'vavcha u'vchol nafshcha uvechol modecha. 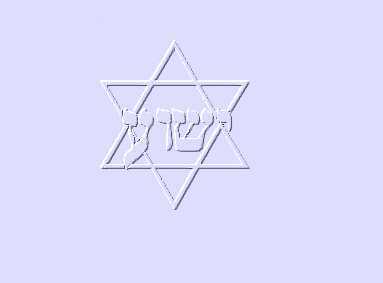 And thou shalt bind them for an ot upon thine hand, and they shall be as totafos (ornament, Shemot 13:16, Shabbos 57a) between thine eyes. And thou shalt write them upon the mezuzot of thy bais, and on thy she'arim. That I will give you the matar (rain) of your land in his due season, the yoreh (early rain) and the malkosh (latter rain, spring rain), that thou mayest gather in thy dagan (grain), and thy tirosh (new wine), and thine yitzhar (fresh oil). And I will send esev in thy fields for thy cattle, that thou mayest eat and be full. And then ADONAI's wrath be kindled against you, and he shut up the Shomayim, that there be no matar, and that ha'aretz yield not her fruit; and lest ye perish meherah (quickly) from off ha'aretz hatovah which ADONAI giveth you. Therefore shall ye lay up these my devarim in your lev and in your nefesh, and bind them for an ot upon your hand, that they may be as totafos (ornament, Shemot 13:16, Shabbos 57a) between your eyes. And ye shall teach them your banim, speaking of them when thou sittest in thine bais, and when thou walkest by the way, when thou liest down, and when thou risest up. That your yamim may be multiplied, and the yamim of your banim, in ha'adamah which ADONAI sware unto Avoteichem to give them, as the yamim of Shomayim upon ha'aretz (i.e. as long as the heavens are above the earth).